Hello Sunshiners!! Wishing you all a very happy and blessed new year. Here's hoping you all meet your juicing goals and have an amazingly healthy 2019 ahead. I'm starting my juice cleanse next week - excited about it !! Hey folks! Happy New Year! It looks like there haven't been any posts this past month. Are my old juicing friends still out there? I hope y'all are doing well. I'm starting the new year with a long juice fast. Juicing newbie here. I have been following the 16/8 Intermittent Fasting schedule and have been hydrating on tea the entire time. I have had great progress so far. I wonder how easy it would be to transition into the Juice cleanse or maaybe my tea is enough? Wow! I am listening to video 5 of the iThriveseries.com. really good. expert who has been addicted to crystal meth and sugar and flour. she says the food was worse. she studies the brain. wrote a book called Bright Side Eating, i think. Susan Pierce Thompson MD. video series free to watch this 12/1/18 weekend. don't wait. no time right now to see if others have posted this. iThrive videos are available free this weekend! https://go.ithriveseries.com/replays Excellent info and videos. pass it on. Not juicing by on my food plan for day 3. Wow, I feel so much better just after a few days than I did before. I always forget how good it feels to be on a healthy food plan. I still can convince myself that I can get away with eating foods loaded with sugar and flour and I prove to myself over and over again that that is simply not true. so true. i'm working toward a healthier plan. hybrid juicing seems to be raising my blood sugars so i am confused. all the best! Hello group - haven't been here in a long time. No juicing right now, but day 2 of a real food plan. It's a start. Wow, my emotions have been on a roller coaster for so long around food. I love the stuff and hate it all at the same time. Guess I'm not the only one who feels this way. 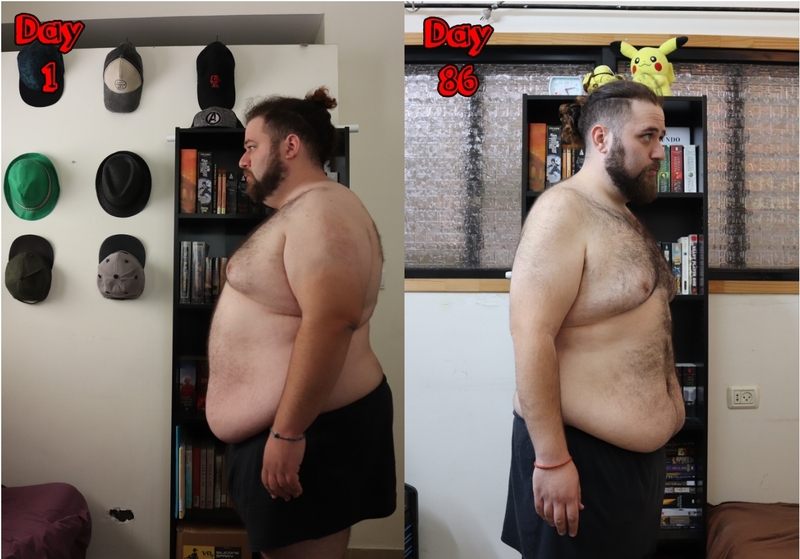 Hey Guys, I am new Here and I just wanted to upload a progress pic :) day 86 going strong I have been asking around, how do you guys stay accountable after finishing the Juice cleanse? I really struggled in the past when it came to keeping the weight off and I am looking for ways that worked for other people. Hi Peter! It is amazing to see such commitment. I have never done juicing before and want to do this. I would love to know how you were able to sail through it. thank you 4 fasting and Soose for your responses....very valuable insights. God Bless!! Patrick James...Congratulations on fasting and weight loss...much respect. Intermittent fasting is a great tool, I'm even using it now on my juice fast (no juice before noon...stop at six). When I am eating my IF window is much shorter...but I'm allowing myself some slack with the fasting. Check out Jason Fung...an endocrinologist out of Canada. You can find him on FaceBook and he has written best seller on IF. It works. As for the keto diet, I would not attempt it. You will be successful with weight loss initially but because of the high fat content...very dangerous for your cardiovascular system...very serious consequences. Robby and Cyrus on Mastering Diabetes have discussed (as many other well known MDs in the whole foods genre) this devastating consequence. Please do the research. I will continue with my IF practice when I go off juice fasting, but will also continue fasting 1-3 days weekly with 2 vegan meals a day with a short window for eating. It is tricky not gaining weight after fasting and I've tried several strategies. I wish you the best!